At some point or another, most of us have thought of growing our own cannabis. 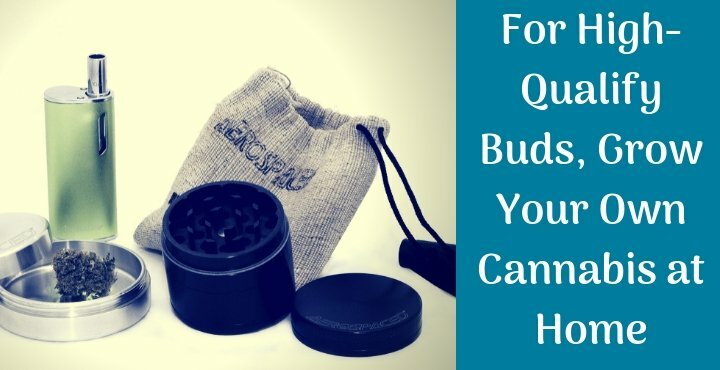 Maybe for a steady supply of buds; maybe for high-quality cannabis to manage your condition; maybe for growing a particular strain; or any other reason. In medical marijuana legalized states, growing cannabis for personal use is allowed. With a valid medical marijuana growers license San Diego, you can cultivate the herb in a room, balcony or terrace. However, many aren’t able to decide—to grow or not. Will it worth the time and money spent? Read on to learn about the major advantages of growing your own cannabis. Control is in your hand– One of the main advantages of growing your own cannabis is that you can control every aspect of the cultivation process; thus produce high-quality buds. You can grow the strains that work for your condition. Usually, cultivation companies use pesticides to get off the bug problem, but these may have several side-effects. But, by growing your own cannabis, you can guarantee that buds are pesticide free and provide you with maximum health benefits. Additionally, whether you want to grow organically or hydroponically, you can make the cultivation process easy and fun-filled based on your preferences. Save money– Another benefit is that you can save some dollars. When buying cannabis from a state-licensed dispensary, you generally have to pay for per gram or per ounce. But, when you grow your own cannabis, the total costs include a medical marijuana cultivation license, start up supplies, lights, utility bills, etc. On average, growing two might increase your electricity bills about just $60-$75 per month; however, the costs may vary depending on the area you’re living. The quantity of the buds during the harvest may depend on various factors—environmental conditions, lightings used, type of strain you’re growing, etc. Never run out of cannabis– Have you ever had the shortage of marijuana products? Sometimes the dispensary is a few miles away, making it difficult for you to get cannabis instantly. However, when you grow your own cannabis, you won’t face such problems. Also, when you have multiple cannabis users in your home, one plant may not be enough, and you require to plant one or two more. Always be sure that you’re complying with the California cultivation laws and regulations. Growing as a hobby– By taking cannabis cultivation as a hobby, you can produce more buds. This may also develop your interest in growing other crops. Moreover, it’s an addictive practice, which keeps you engaged with not only horticulture but other areas associated with the practice. Additionally, this will help you develop several life skills. Just think—when growing cannabis, you will have to involve in a variety of activities from plumbing and designing to carpentry and wiring. Thus, you have the opportunity to dive into something exciting and fun-filled. Grow guides– There are great quality and quantity of educational information available for growers on the internet. Grow guides, books, magazines, websites, social media groups, and forums are some of the popular sources where medical marijuana growers share their knowledge with the world. Not only you can learn about the cultivation process, but increase knowledge about increasing yield and growing particular strains. To cover it up—the benefits of growing your own cannabis are many from reduced costs and a steady supply of buds to high-quality products and easy access to growing guides. Additionally, you have complete control over the cannabis cultivation process, thus can grow strains based on your personal preferences and condition. Growing cannabis is an exciting, fun practice. If you’re a beginner to the marijuana cultivation world, you can access a wide range of growing guides, magazines, website blogs, etc. to master your skills. You can also try different cultivation methods to produce maximum buds. Apply for your medical marijuana growers license San Diego to get legal access to cultivate your own cannabis today. Have you grown cannabis at home? What according to you is the most important advantage of home-growing?